Before we begin, we would like to explain what you GameJackal. This paid program created by RedFox (formerly Slysoft) can play these original games (and only original) without reinserting the CD of the game whenever you want to play. However, GameJackal ask you to insert the original CD of the game to play then without it. If you do not have the original CD of the game, the game will fire protection and therefore GameJackal will not allow you to play it without a CD / DVD. That is why this software is entirely legal and we present it to you in this tutorial. Last clarification, profiles created by this program for your moose games have identifiers to prevent their use on another computer. Again, this allows the program to remain legal because it avoids any circumvention of the program. Once the profile is created, you can play without CD / DVD and avoid scratching or damaging them over time. Now that you know how this program works, start the tutorial. 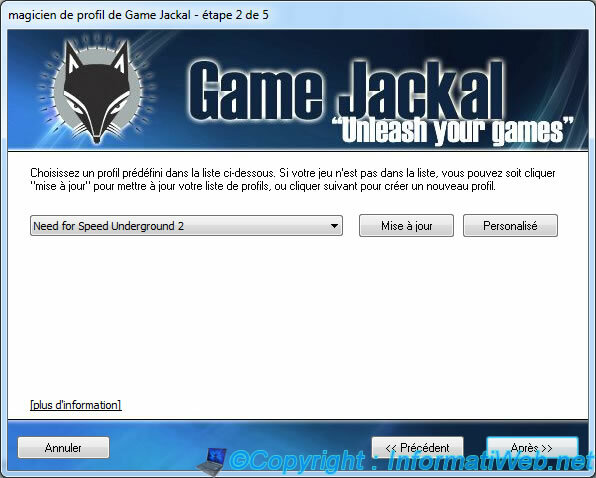 First download and install GameJackal (which is paying remember). Then click "Create a Profile". GameJackal will ask you to choose a CD / DVD drive to use. Note : No CD / DVD must be in the drive for the moment. IF a CD / DVD is in the drive, GameJackal ask you to remove it before continuing. GameJackal contains a list of games that are already pre-registered. This allows to know the games that are compatible and pre-configured the following options. If your game is not listed, you can click on "Update" or "Next >>" to create it manually. Enter a name for your new profile (name under which the profile will appear in the program list). If you select a pre-defined profile GameJackal will show what it will do at the end of the wizard in order to create your personal profile. If the path is not defined, or if you have installed your game in a location other than the default, click "Locate the title". Reached the fifth step, leave the second box checked and insert the CD / DVD to be used for play. 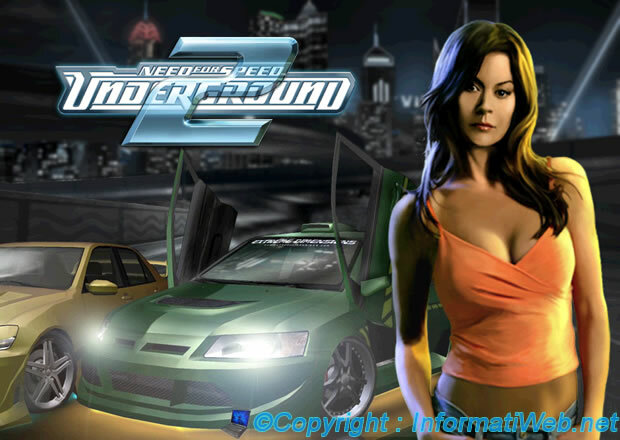 For example, for "Need for Speed ​​Underground 2", this is the CD 2. Once detected GameJackal will insert the CD / DVD, this small window appears at the bottom right of the screen. And the game will start. Your profile is now fully established. You can now remove the CD / DVD drive. To play a game whose profile is already created, you can simply double click on it. GameJackal will believe in playing the CD / DVD is present in the CD / DVD drive (while my drive is physically empty). And the game will launch correctly without CD / DVD. If a message like this (Please insert the correct CD-ROM) appears, is that the protection of your game is not supported or you insert the wrong disk when creating the profile. In this case, try the other CD / DVD provided with the game Sometimes game publishers say : Installation CD, CD play ... on CD / DVD.